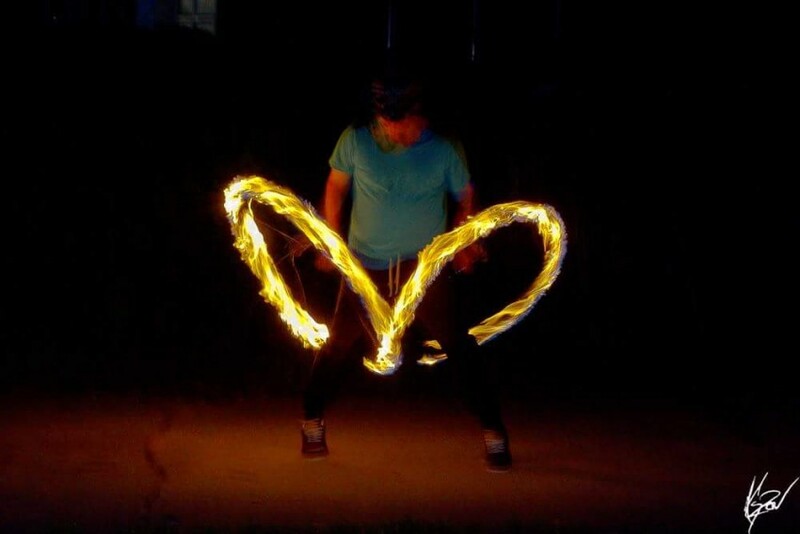 Solo or group fire performance featuring multiple props, including poi, dragon staff, fire eating, and fire breathing. We can provide music for the performance tailored to the event, or we can perform as a sideshow for music already provided, as well as performing in costumes tailored to the theme of the event. 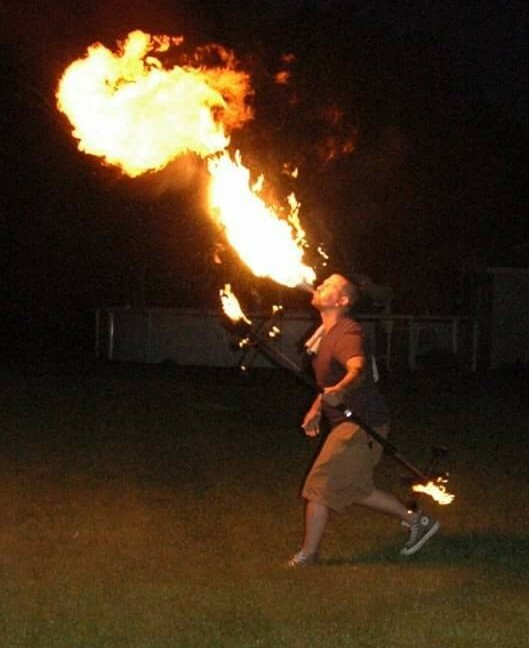 If fire is not a viable option, we can also perform with LED versions of our props. We provide a unique visual performance, drawing a crowd's attention through the movement via the manipulation of props and our bodies. 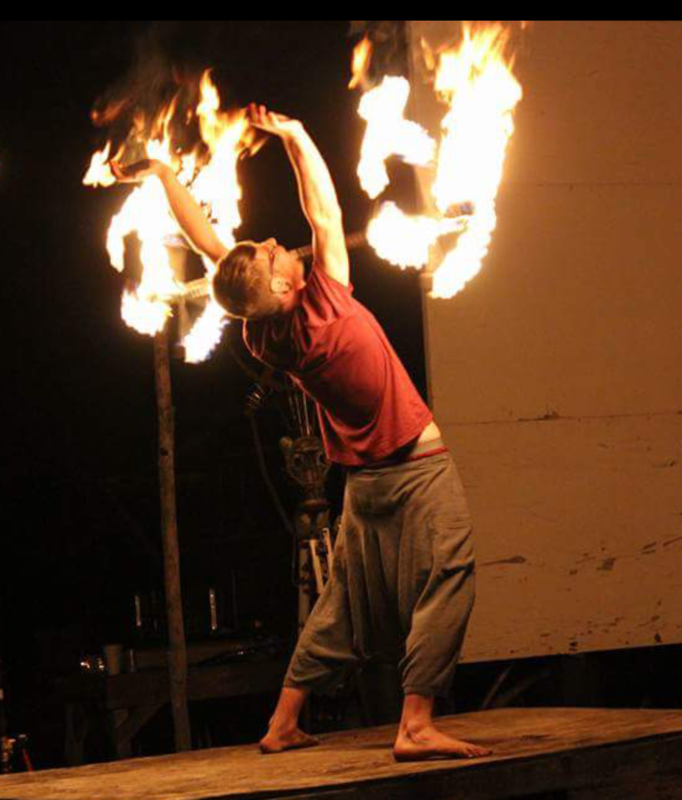 We harness the element of fire to tap into people's primal curiosity surrounding fire, and keep their attention by manipulating it in a visually appealing set of movements.